1. 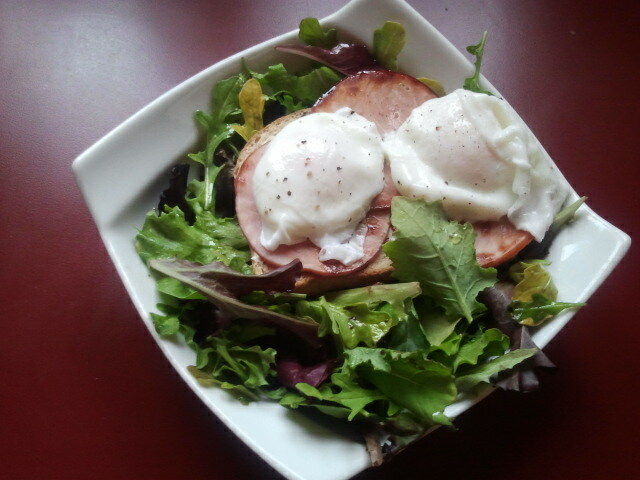 Eggs (any style) on a bed of greens (any kind). Making time to prepare breakfast in the morning is my saving grace on long 12 hour work days. 2. My three year old cousin wearing fairy wings and rambling on about pixie dust. 3. I'm creeping up on the 27th year of my life, but I've fallen back in love with pink lip gloss. I swore it off when I grew sick of the sticky residue it left on my cups. Not to mention, as a teenager I was obsessed. From splurges on MAC's Lip Glass and Lancome Juicy Tubes to cheap sparkle filled glosses, I kept my backpack and locker stocked. With smokey eyes (for the evening) or bright cheeks (for the day), I love the glow and warmth this old friend brings to my lips. 4. Sitting in my backyard facing the white fence with palms out getting some much needed vitamin D.
5. Watching my brother's wife's baby bump grow with a little girl inside. 6. The idea of spending an entire summer coaching and playing sports with middle schoolers. 7. Putting together a Pontes family tree with my cousins at Sunday Brunch and we learned my maternal grandmother's real name. As much time as we all spend together, there are so many mysteries and hidden stories in our past. 8. 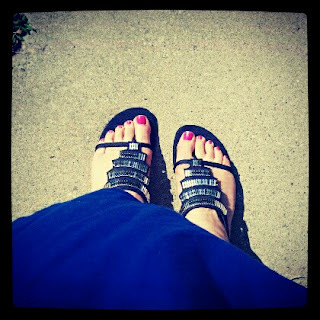 Pink toes and sandals that reflect the sun's beams. 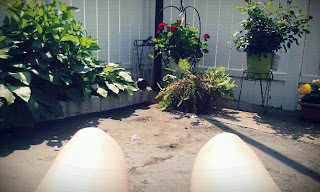 Tanning Knees. Yummy Breakfast. Shiny Sandals. Love your sandals, where did you get them?